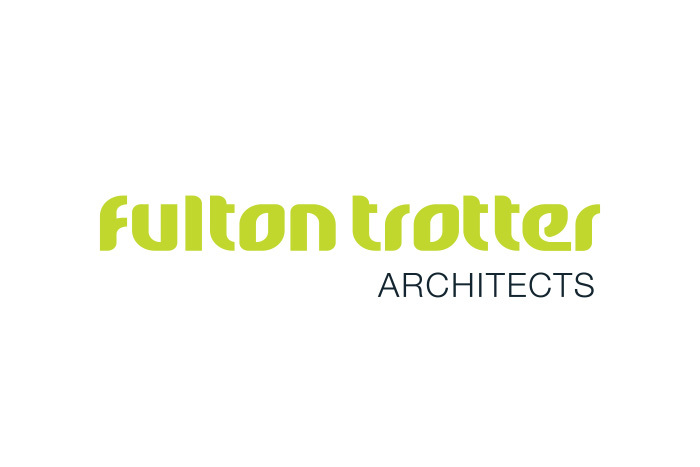 Fulton Trotter Architects have been producing innovative architecture and working with regional communities across the East Coast since 1946. 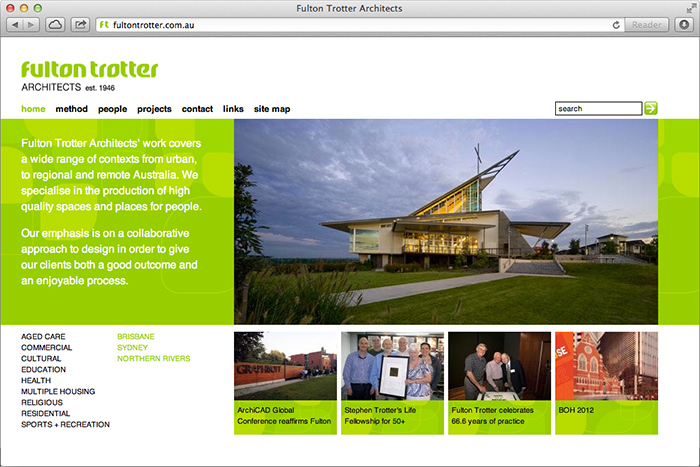 With a tradition of mentoring young architects, they’re vibrant and passionate about designing places for people and the local environment with substance, style and spirit. 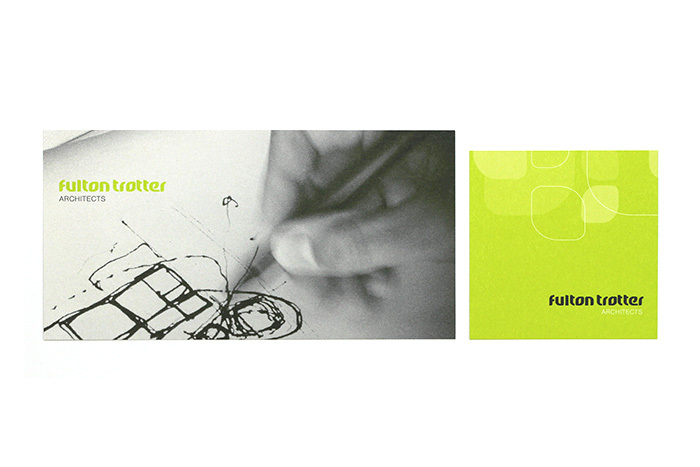 A custom typeface was designed to match this approach, from which leafy organic shapes evolved as a supporting graphic. 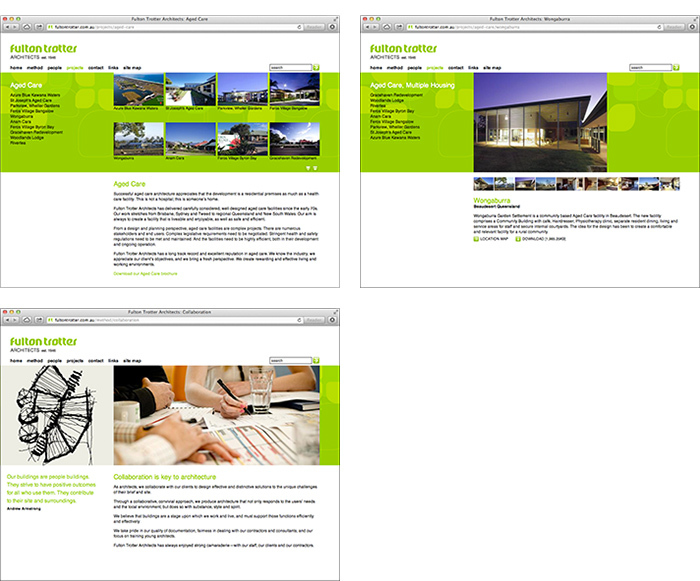 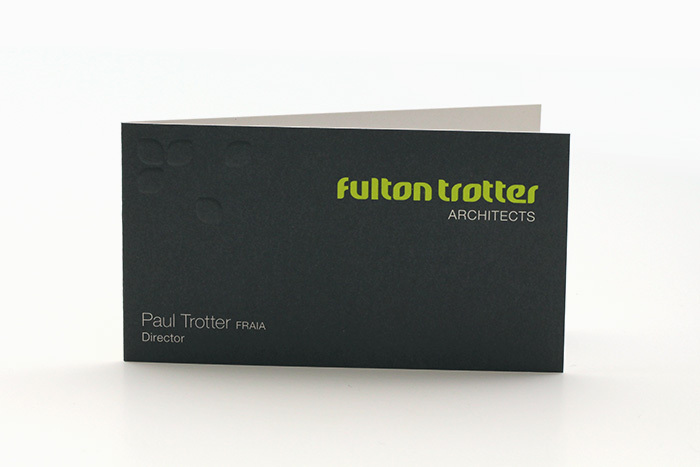 The shapes were subtly embossed on the five directors’ business cards, while cheerfully expressed in lime green on less formal communications such as note cards and their website.